What is your Christmas jumper style? 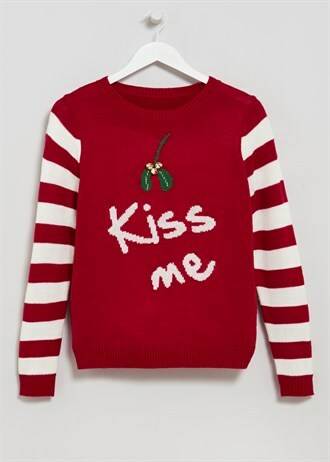 I’ve spent probably far too much time searching for the perfect festive jumper and here are my favourites on the high street for Christmas 2014. 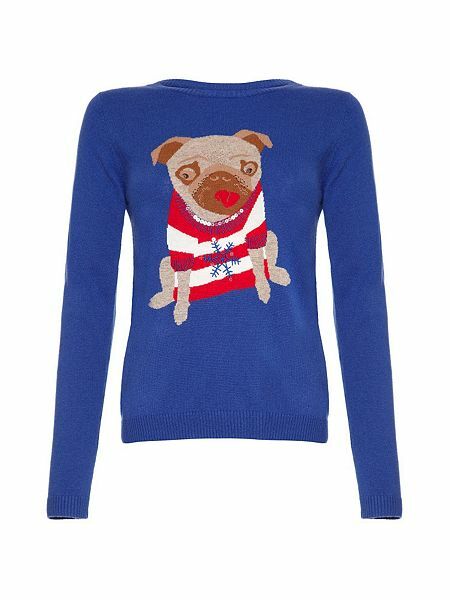 From sparkling sequins to traditional knits, Santa, snowmen and pugs; there is a Christmas jumper for everyone. 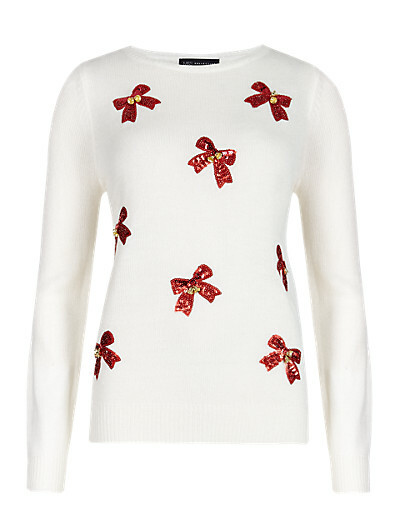 Invest in a novelty sweater to see you through the festive season! Do you, like a lot of us, overuse the Selfie hashtag? If so, then this black, gold sequinned #Elfie Christmas jumper from Lipsy is the perfect option for you! Oh my goodness, this is just the cutest! The sequin penguins on this New Look Christmas jumper are adorable. You could even wear this as day wear throughout December! With the simple design this jumper could almost be quite chic everyday wear…. but it has fabulously fun jingle bells attached to each of the red sequin bows! Polka dot/snow drop design + a cute white polar bear + a sequin gold crown = ABSOLUTELY AMAZING. I am in love with the sequin crown on this jumper. And the falling snow and white polar bear are so fairytale like. 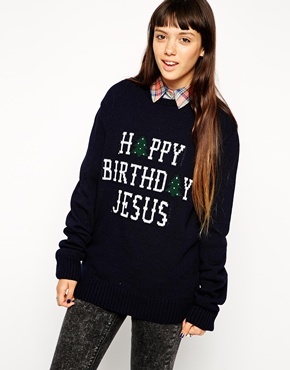 There is something quite whimsical about this classic Christmas jumper from New Look. I love the pale blue and white hues combined with the sequin santa hat. IT’S A PUG! If you love pugs then this is the jumper for you! The super cute pug is wearing a sequin collar and a jolly red and white onesie. 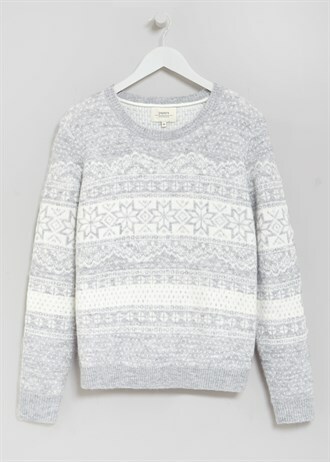 If you are looking for a cosy festive knit, this is perfect and it’s completely affordable too! I’m loving Matlan Christmas jumpers this year! A feline festive delight – this Louche jumper includes a quirky cat in retro glasses and it is made from 100% cotton. When I think of the traditional Christmas jumper I picture a navy or red jumper with patterns, prints and a seasonal slogan. And this jumper is just that. 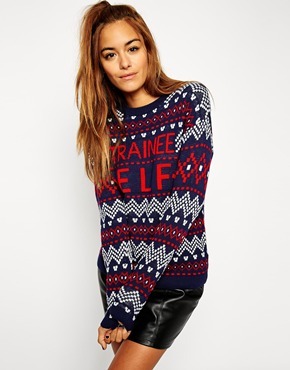 With a traditional fairisle festive design, this jumper from Matalan is cute and cosy. 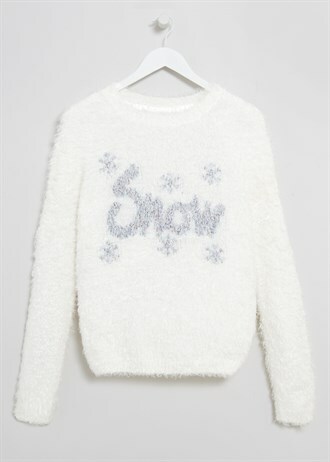 I love the turquoise blue colour of this Boohoo jumper and the snowflake, fluffy design makes it perfect for the cooler months! 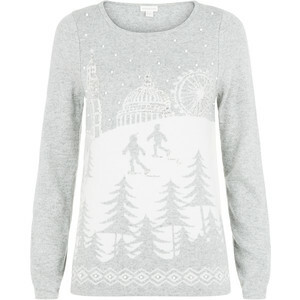 While on the pricey side, I still love this Christmas jumper from Monsoon. The 3D London scene is adorned with faceted and silver beads and the grey and white hues are reminiscent of a romantic, wintery day. Single and looking for a little festive romance? Wear this OUT OUT over the Christmas period. Kiss me, mistletoe and bells – so cute. It is the season for a reason after all, Happy Birthday Jesus! 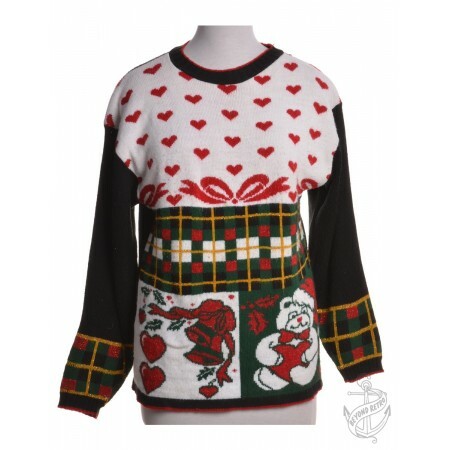 Beyond Retro have a good selection of crazy, retro, traditional and ‘ugly’ vintage christmas jumpers. Check them out.